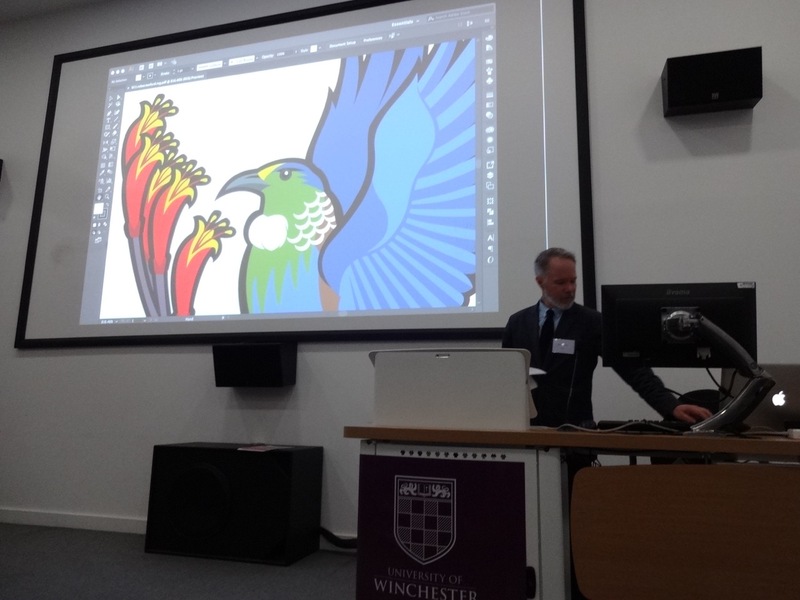 Several months ago, I was invited to present a paper at the Heraldry Society’s 2018 Biennial Congress at the University of Winchester. The paper, “The Clan Crawford Association Armorial: An Independent Armorial for the Scottish Diaspora”, was well-received. 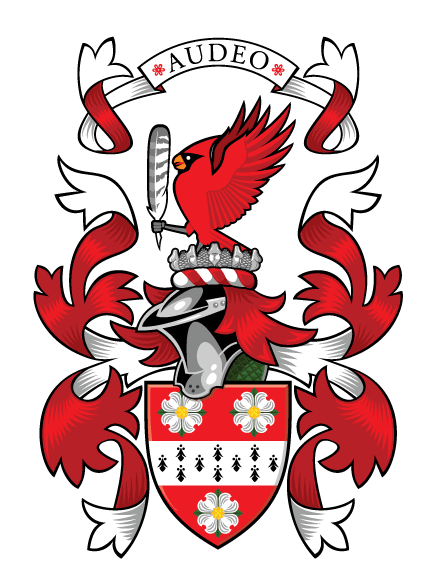 Being the first independent armorial of its kind, there was much to cover: objectives, guidelines, design process, etc. You can read an abridged version of this paper in the latest issue of The Heraldic Craftsman (no. 100). I’m very proud to say that also I’ve been made a member of the Society of Heraldic Arts. Following the Congress, my distant cousin Raymond and I embarked on a road trip through the countryside and back roads of Hampshire, the New Forest, Sussex, and Kent. It would take a short book to relate all that followed: an Iron Age hill fort; a black-tie dinner; a stay at the home of the 9th Baronet Kilbirnie; a visit to Saint Hill Manor, once owned by Raymond’s family but now the UK headquarters of the Scientologists; an evening of fencing matches after a thirty-year hiatus; swimming in a pool under a plastic canopy; dowsing for drainage pipes with wire hangers to find a church’s plumbing issue, zip-lining through treetops with a precocious nine year-old, and much more. It was quite an adventure, and a complete delight. My sincere thanks to the Heraldry Society, Raymond Crawfurd, John and Jane Tunesi of Liongam, Bill Beaver, Sir Robert Craufurd, Lady Georgina Craufurd, and everyone else who made my stay in the UK such a pleasure and a privilege. This entry was posted in Heraldry on September 11, 2018 by Allen Crawford.